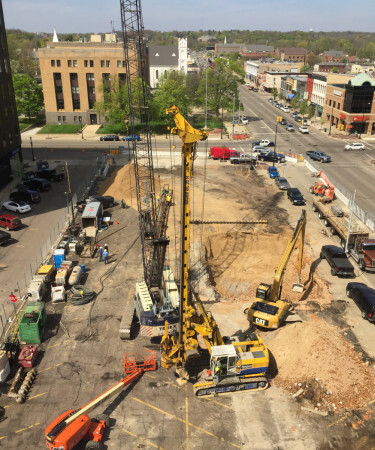 The Exchange Construction Begins - Byce & Associates, Inc.
Byce & Associates, Inc. is honored to have designed and engineered the Exchange Building, a 15-story mixed-use development that will be located in downtown Kalamazoo, that has begun its long awaited construction. 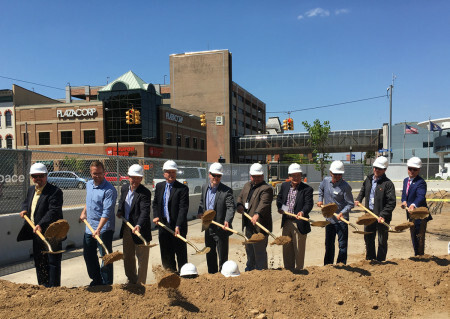 The groundbreaking ceremony took place on May 12th where Greg Taylor of Phoenix Properties, and Jeff Nicholson, Andy Wenzel, and Archie Leach of PlazaCorp Realty Advisors, Inc., along with state and local officials, lenders, major tenants like Chemical Bank and many others attended. 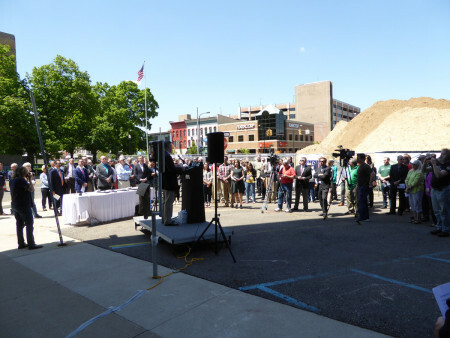 They all conveyed their excitement for the project and positive economic and community impact for downtown Kalamazoo. Orion Construction is on site with the construction duration for the Exchange expected to take about 2 years and be ready for occupants in spring of 2019.